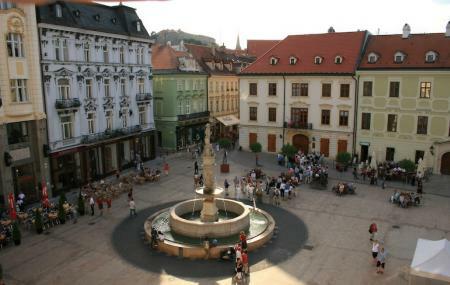 The old town of Bratislava forms the historic center of the city. Consisting of buildings dating back to the medieval times (including the fortification of the city), classic cobbled streets, bronze statues and stunning architecture, the old town is loved for its romantic ambience. Take a walk through the city to see Bratislava through its magical past. The place also has a number of restaurants and shops where tourist and locals like to spend a few hours in the evenings. How popular is Bratislava Old Town? People normally club together Ondrej Nepela Arena and Slavin War Memorial while planning their visit to Bratislava Old Town. People also prefer to start their day with Bratislava Old Town.